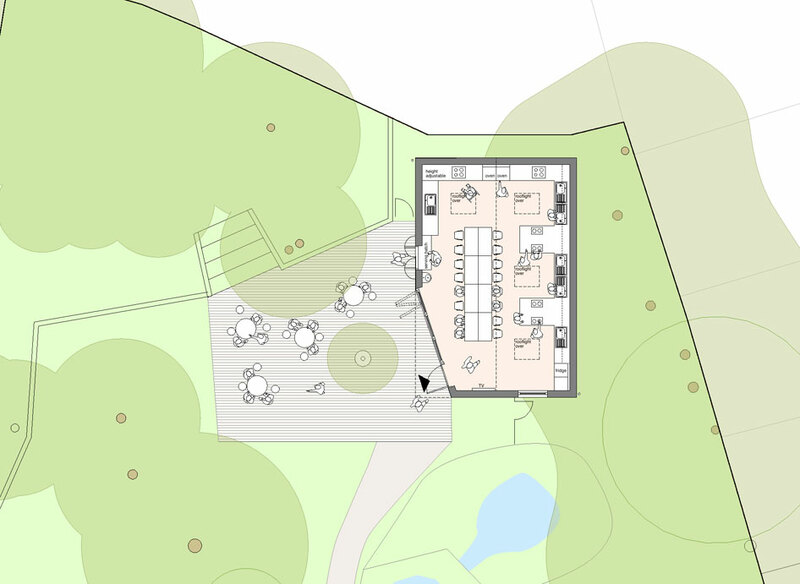 This new building provides a classroom embedded in its woodland setting within the nature garden of a South London primary school. The building supports the cookery and science curriculum as well as providing opportunities for working with parents and the wider community to promote healthy lifestyles and wellbeing. The building is designed with a timber frame and multi-coloured stained larch cladding and features a specially designed flexible cookery fit out for children, adults and wheelchair users. 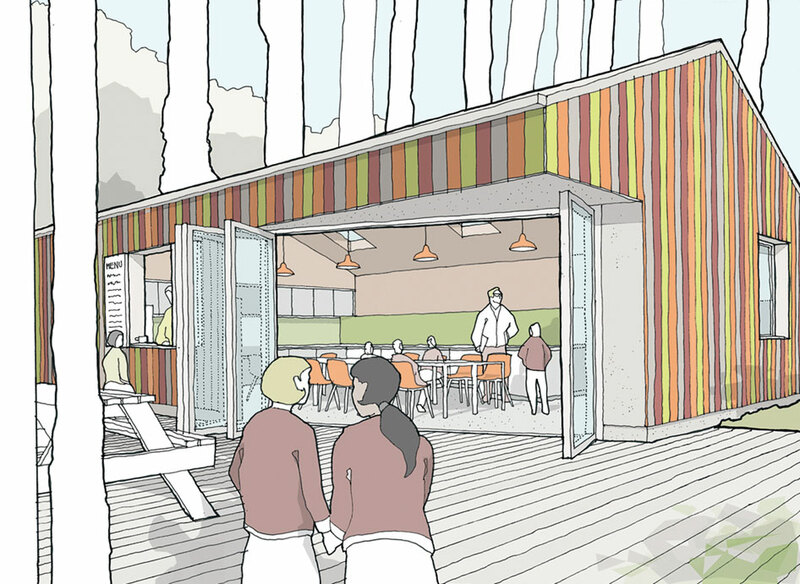 Wide bifold doors and a serving hatch provides connections between the indoor and outdoor learning space and seating area.